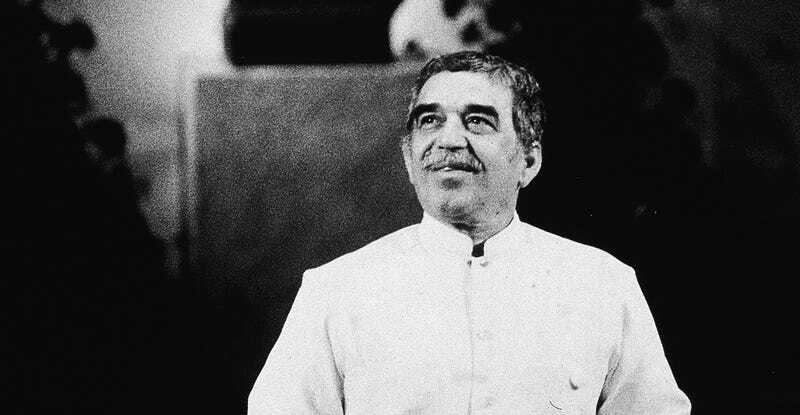 Have you seen all the heartfelt remembrances of Gabriel García Márquez, best known for his novel One Hundred Years of Solitude? Yes, García Márquez is dead. But for some reason a lot of people on social media think he died sometime in the past week. The Colombian author died in 2014. Social media sites like Facebook and Twitter have been flooded with tributes to García Márquez over the past few days, with people expressing grief over the death of their literary hero. But maybe they weren’t the biggest fans ever, since they’re all linking to the 2014 New York Times obituary for the man. It’s tough to pinpoint who Patient Zero for this belated death notice might be, but there were accounts like BrainPicker who memorialized the third anniversary of his death on April 18th. Who knows why things like this take off, but it’s not unlike when Golden Girls star Rue McClanahan died. Her death seems to go viral every year, despite the fact that she died in 2010. I suppose belated death truth is better than a premature death hoax. It’s the small victories here in the year 2017, our year of fakes.